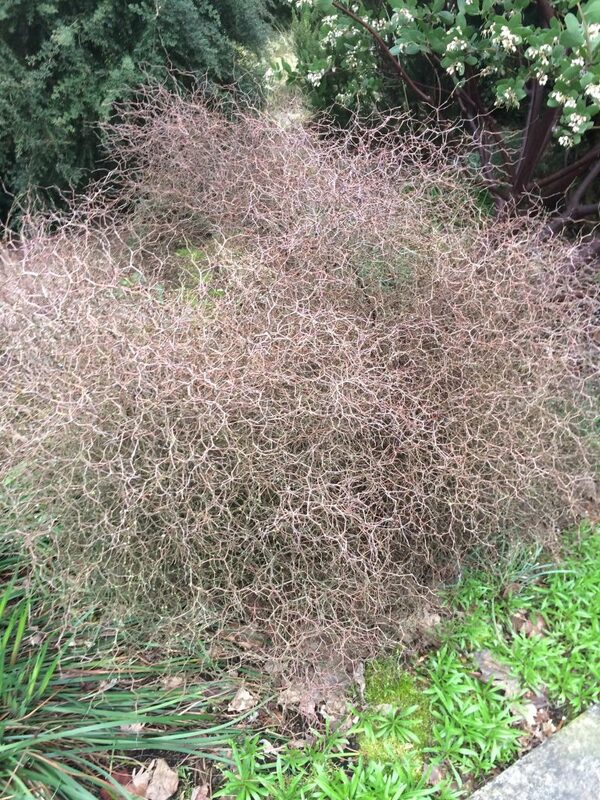 Wire shrub from alpine New Zealand is a fun and fascinating shrub for texture and interest. The fine zig-zagging stems hold onto tiny green mitten shaped leaves. These quietly go away in winter revealing a cinnamon colored tracery of branches. So dense that you are at a loss to stick your hand through the center. Very dense and rounded in habit for full sun and poor to rich well drained soil Light summer water- though completely drought adapted. 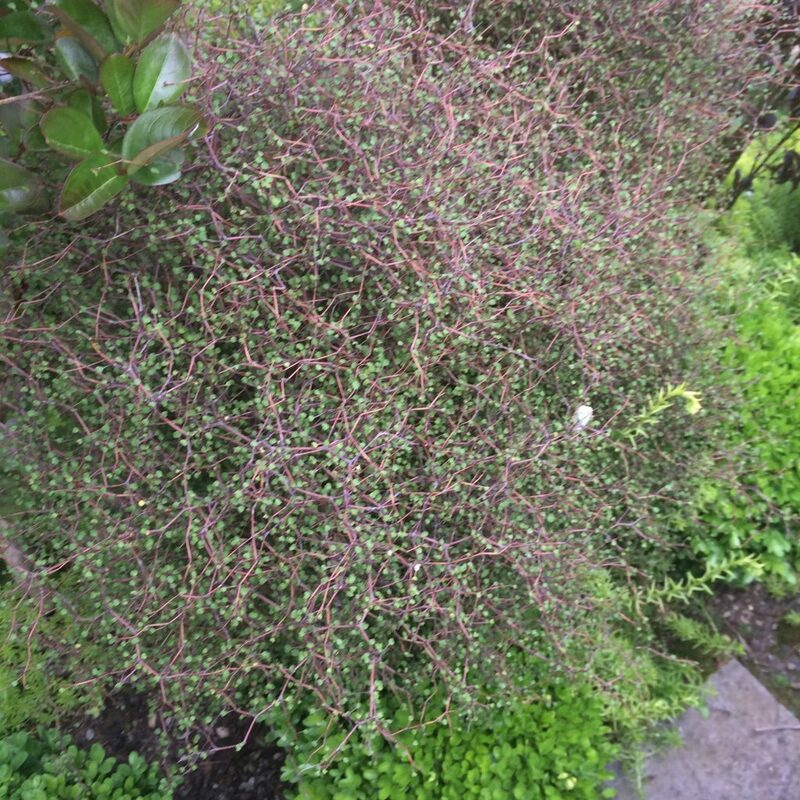 From a distance it creates a hazy effect rather than the bulk of a shrub. Perfectly hardy to cold. To 4′ x 4′ in 5 years.